All hail the fastest SUV in the market at the moment—the Lamborghini Urus, which boasts 650hp, 850Nm of torque and a top speed of 305km/h. But performance aside, we also appreciate how the marque has successfully managed to create such a beautifully fierce-looking five-seater car that appears compact, but is actually one of the biggest around. Despite its size and weight, the Bentley Continental GT proved that it was as nimble as a smaller car especially when taking sharp bends. We also loved the design details that the British marque had weaved into the new model, which includes entirely new elliptical tail lights with a mesmerising three-dimensional cut-crystal effect as well as the classy diamond-in-diamond leather quilting option for its seats. A real gentleman's car, the Aston Martin DB11 V8 also had pilot Benjamin Kim swooning over its good looks when he first caught sight of it before his test drive. The epitome of sporty elegance, the grand tourer features a new 4.0L biturbo V8 engine that was developed by Mercedes-AMG, giving it the ability to go from 0 to 100km/h in 4.0sec. Yet despite its sports car-level specs, the DB11 V8 is a great choice for speed lovers who appreciate a mix of comfort, craftsmanship and fun in their everyday car. Replacing the popular California, the Ferrari Portofino raises the bar higher with a sharper ride that can battle that of its more expensive sibling, the Ferrari GTC4 LussoT. Also, it seduces with a sexier silhouette that resembles another powerful Ferrari icon, the naturally-aspirated F12 Berlinetta. Electric is the future and we want in on it. 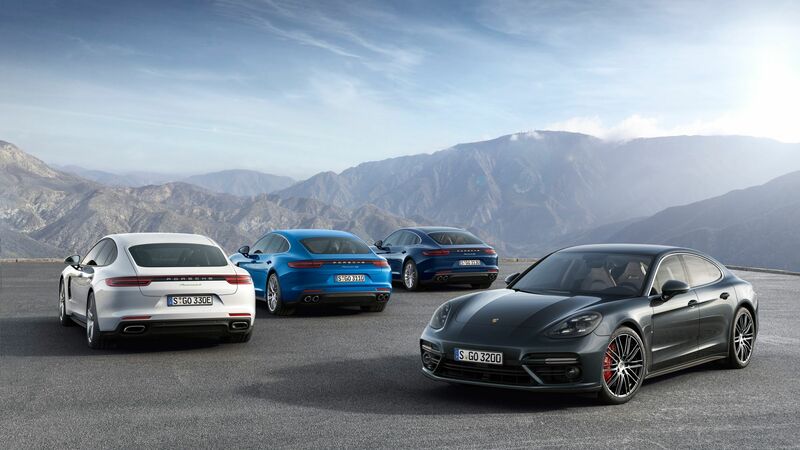 Porsche stays ahead of the curve with its fleet of plug-in hybrid sports cars and sports sedans, and one of our top picks is the Porsche Panamera 4 E-Hybrid. While it was not made for racing, the luxury hybrid sedan doesn't waver when we pushed it hard on the racetrack at Sepang International Circuit.